Can Moona Keep You Cool At Night? Home » Can Moona Keep You Cool At Night? Love the feeling of a cool pillow against your cheek at night? A new device called Moona aims to bring you that sensation all night long… and help you get a better night’s sleep by doing so. 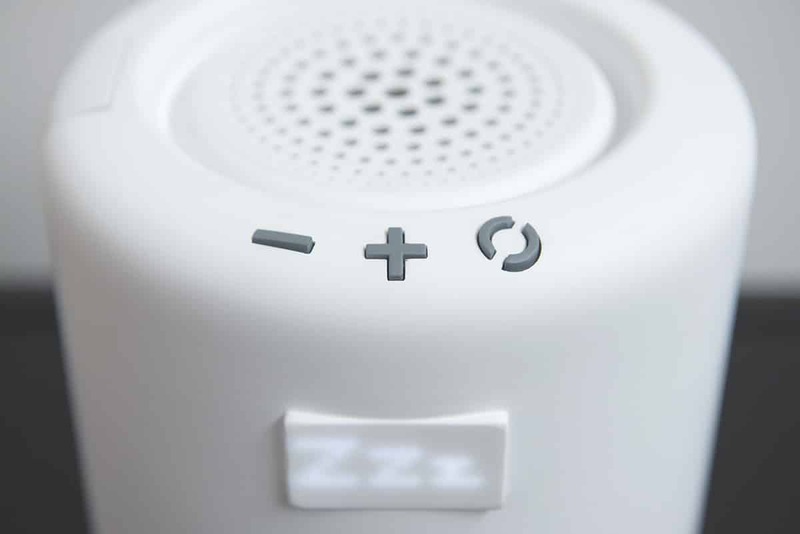 In a nutshell, Moona is a “smart sleep” system that helps you fall asleep and keeps you asleep by adjusting the temperature around your head and neck. A quiet bedside device is connected by a tube to a memory foam pad that you slip into your pillowcase, on the top side of your pillow. The device circulates water through the tube, and the temperature of the water changes to cool or warm the memory foam pad. The creators recommend changing out the water in the device approximately once every three months. Before using the Moona, you take a questionnaire about your sleep habits. With the help of a motion sensor on the pad, the Moona app tracks your sleep and logs each night’s “temperature profile.” Based on this data, the app offers tips and tricks for a better night’s rest and “adapts” to your sleep schedule over the course of 10 days. You can use the app to set a specific temperature profile or to turn on a “natural wake-up” feature where the device changes the temperature to the point of causing you to wake up (there are both cool and warm options for this). Moona was fully funded within 12 hours of the Kickstarter launch, despite the high estimated retail price of $399 (eek!). Early bird options are available for $249 through Kickstarter, and the final product is estimated to ship in June 2018. In a piece about Moona for The Verge, writer Angela Chen suggested a few cheaper ways to regulate your temperature at night. “If you run hot, try sleeping with your hands and feet outside the covers,” she wrote. “If you run cold, sleep with socks. What is the best temperature to sleep at? Find out, here.